CHARLES CITY — Peggy Marie Beaver, 87, of Charles City, died Sunday, June 4, 2017 at the Floyd County Medical Center in Charles City. A funeral service for Peggy will be held at 2:00 p.m. on Thursday, June 8, 2017 at Hauser Funeral Home with Pastor Bill Odermann from Saint John Evangelical Lutheran Church in Charles City officiating. A visitation will be held from 5:00 to 7:00 p.m. on Wednesday, June 7, 2017 at Hauser Funeral Home and continue one hour prior to the service on Thursday. 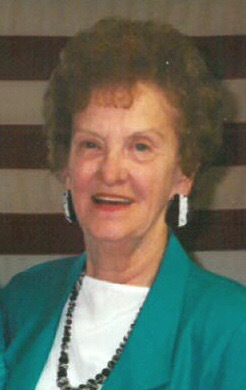 Peggy Marie Roy Beaver was born on June 5, 1929 to Charles and Harriett (Burton) Roy in Charles City, Iowa. In her early school years she transitioned from Rudd to Nora Springs to Floyd to the Charles City school systems. Peggy went to work after 9th grade as a waitress in the Charles City area. She also worked for a time at White Farm and a cabinet shop. When a 17 year old Peggy met Lester Beaver standing out on the street looking for a ride, having just got home from his time in the Army, she knew he was the one for her. Lester and Peggy were united in marriage on December 28, 1946. The couple made their home in Charles City and to that union three children were born: David, Connie and Dennis. Peggy was a home maker, not just for her family, but her neighbors too. She was a wonderful gardener, freezing and canning all of the produce. She took care of her household inside and out, rain or shine, for her whole life. Peggy even took it upon herself to look out for her neighbors and their households through natural disasters and day to day life. Peggy was a member of the VFW auxiliary and put her mothering talents to use for the Cub Scouts and as a Homeroom Mother throughout her children’s school years. She decorated, cooked and made special gifts for her children, grandchildren and great grandchildren for every holiday. Peggy was always ready to make you smile or laugh. She is survived by her children: David (Deb) Beaver of Charles City and Connie Beaver of Charles City; daughter-in-law: Deb Beaver of Charles City; grandchildren: Ammie (Jimmy) Joslin, Kevin (Annick) Beaver, Jacob Beaver, Shannon (Amber) Hoy and Jennifer (Shawn) Castillo; great-grandchildren: Lincoln, Lexan, Aiden, Taylor, Wyatt, Austin and Audrey; siblings: John Roy, Velma “Jane” Anderson, Carol Schmidt, Patricia Poppe and James “Jim” Roy; and many other family members and neighbors. Peggy was preceded in death by her parents; husband Lester in 2008; son Dennis in 2013; and siblings: Harold Roy, Waunita Arndt, Donald Roy, Oliver “Bud” Roy and Ted Roy.